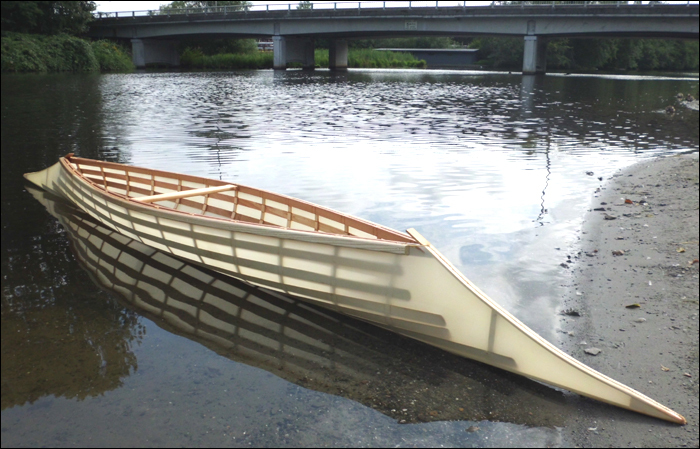 In 2010 I was contacted by Harry W., a member of the Sinixt people who was interested in commissioning a traditional Sinixt canoe which, as it turns out, is a Sturgeon Nosed canoe. Today it was delivered to the very happy new owner. He is probably the first person in his family to paddle such a canoe in 100 years or so. Follow the link for pics & more info.